The Cavision 5.65 x 5.65" Solid Yellow 1 Glass Filter enhances reality, adding a touch of subtlety or drama to the image. This filter gives you the ability to add more "punch" to an otherwise ordinary scene. 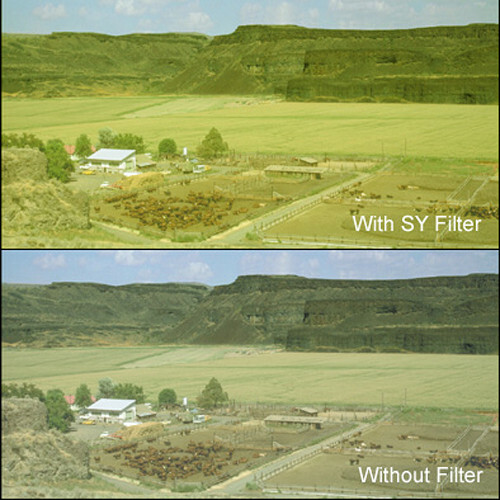 Cavision filters give you the control you need to create a scene as opposed to just shooting a scene. The yellow can be used to make a warm scene warmer or to create an air of fantasy. It's value can also be applied to a "departure from reality" image.